It seems many brands focus on pod system this year as we can see more and more pod kits are hitting the market. Today we are gonna introduce two new vape pods, one is Kangertech SUPO and the other is Sense Sidekik. The Kangertech SUPO is made of solid aluminum alloy shell with advanced surface treatment, which makes it durable to use and comfortable to hold in hand. Composed of a 800mAh rechargeable battery and 2ml refillable pod, the Kangertech SUPO is quite enough for your daily use. 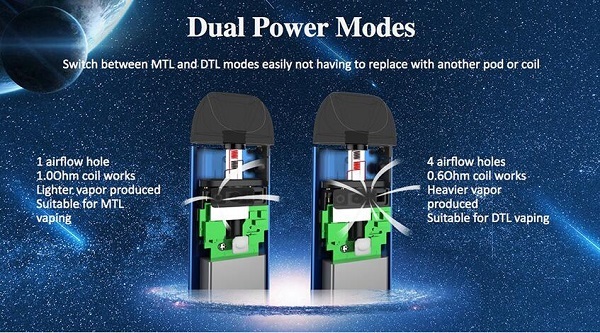 The hightlight of this SUPO pod kit is that it features a unique MTL/DL switch button, which allow you to switch between MTL and DL modes easily without replacing coil (a ceramic coil-0.6ohm for DL and 1.0ohm for MTL, both pre-installed in the pod). 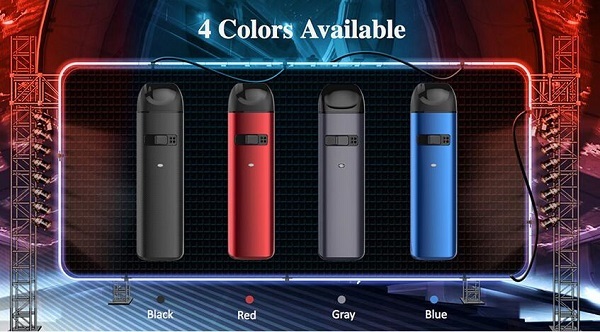 Plus easy side filling system, multi-protection functions and simple LED battery life indicator, the Kangertech SUPO pod kit is definitely suitable for all sorts of vapers. 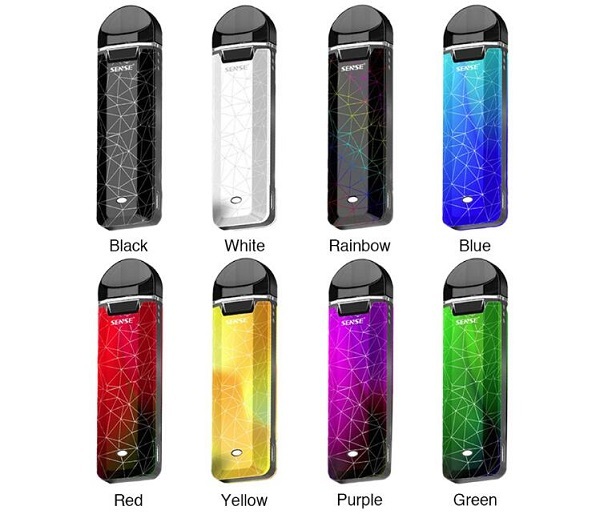 Featuring fashionable linearity pattern design with beautiful finish colors, the Sense Sidekik is a good looking and slim pod kit. It adopts air-draw switch to offer you a button-free vape! The Sense Sidekik includes a built-in 460mAh battery and a 2ml refillable pod cartridge with replaceable 1.1ohm coil, which means you only need change coil when vape get weak instead of replacing whole cartridge, pretty economical. The 1.1ohm coil is optimized for the nic salts, offering you great throat hit and flavor. The Normal and Strong mode of Sense Sidekik meets your different needs too. Please feel free to use code "AHG15" to enjoy 15% off discount.